Last month, we at OVERDRIVE reported about KTM launching the 125 Duke in India. And now that has been officially confirmed by the motorcycle manufacturer. 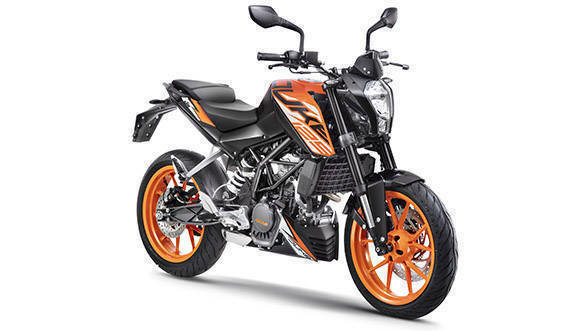 The popular motorcycle brand has launched the much-awaited 125 Duke ABS in India at Rs 1.18 lakh, (ex-showroom Delhi). 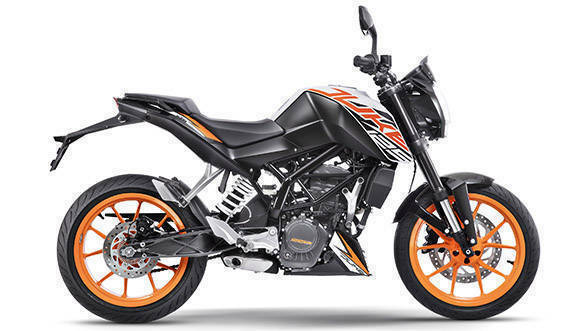 KTM has also confirmed that the 2018 125 Duke ABS will be available across 450 exclusive KTM showrooms in India. The international 125 Duke features a 15PS engine, six-speed gearbox suspended as a structural member in the same trellis frame that KTM uses for all its Dukes. The India-spec offering comes with a 124.7cc single-cylinder engine that makes 14.5PS at 9.250rpm and generates 12Nm at 8,000rpm. This engine is mated to a 6-speed transmission. The 2018 KTM 125 Duke ABS makes use of a trellis frame and an aluminum swingarm. The naked sport offering comes with USD forks in the front and a 10-step monoshock in the rear and dual-channel ABS as standard. "KTMs are always about high performance, edgy design and a thrilling ride. The 125 Duke will be the new stepping stone into the KTM brand for riders starting out in the world of racing" commented, Amit Nandi, President (Probiking) at Bajaj Auto Ltd.